Moving into a new apartment means starting with a fresh canvas. At Dolce Midtown we love that residents are able to put their own twist on units and no two apartments are alike. Living in downtown Houston apartments we want your place to feel like a home and be your place to escape at the end of each day. One of the most underutilized spaces to add your own flair is your kitchen. There are so many opportunities to add pops of color and style. Read on for tips on creating a kitchen you love. Who knows maybe it will even inspire you to cook more often! When you’re done reading, be sure to share this blog with your friends, neighbors and anyone else who might be interested in learning a little more about our community of Houston, TX luxury apartments. Kitchens are designed to be a practical space, but who says they can’t look good too? Adding color accents will make your kitchen stand out and there are lots of easy ways to achieve this. Below are three simple ways to make your downtown Houston Apartments more colorful. Adhere vinyl sheets to the inside of drawers. These are easily removable and come in a ton of color and design combinations. The opportunities are endless! Jazz up your backsplash or other plain sections of wall with stick on tiles. Applying stick on tiles is simple and they’re available at most home improvement stores. Just make sure they are temporary before purchasing. Purchase cookware in bright colors. Way more fun than boring old black or stainless steel, colorful cookware. We guarantee they’ll bring a smile to your face every time you go to cook. On the theme of enhancing the color in this small space, displaying fresh produce and plants will not only remind you to eat healthy, but also catch the eye of your friends and family. Use unique vases or bowls to hold citrus or fruit for another element of design. If you cook regularly, an herb garden could be a great addition to your kitchen and make your apartment smell great! Dolce Midtown units were designed with an open floor plan to help maximize the space of your downtown Houston apartments. 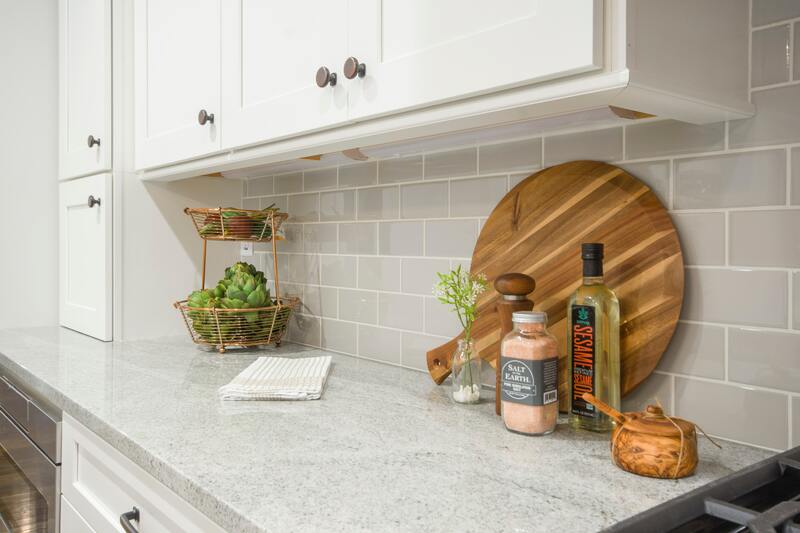 Our countertops provide ample space for cooking and hosting guests, but can also serve as a great spot to enjoy your morning coffee or a drink after work. Bar stools come in a variety of designs so there are some out there that will fit your sense of style. Adding high-top bar stools will help distinguish the kitchen from the living space and make your space feel even bigger. When entertaining this will also provide you with more seating space to sit back and relax. Have other ways of jazzing up your kitchen into a space you love? We want to know! We’ll have another blog up next month! If you feel like you enjoyed the latest brand new blog from Dolce Midtown and you want to see the next one right when it’s posted up on our website, we recommend that you bookmark our blog page so you can enjoy future blog posts when they’re posted on the website. In the time between now and then, you can keep up with everything happening at Dolce Midtown by following us on social media. There’s no faster or easier way to keep up with everything happening at our community, including resident events, special giveaways, and promotions going on at your community of downtown Houston apartments.